The eagerly awaited FIFA Presidential elections of 26 February provided for a “new face” at the pinnacle of international football for the first time since 1998. One could argue whether Infantino is the man capable of bringing about the reform FIFA so desperately needs or whether he is simply a younger version of his predecessor Blatter. Both men are of course Swiss, and both were general secretaries of an international football governing body (UEFA and FIFA respectively) before becoming FIFA President. Only time will tell whether Infantino manages to cleanse FIFA from all the corruption and demonstrate that he is the right man for the job. In this regard, Infantino’s portrait by Sam Borden is definitely worth a read. Though no FIFA official was lifted from his hotel bed by the police in the days before this FIFA Extraordinary Congress, the build-up was not entirely flawless. Two of the four Presidential Candidates, Prince Ali and Jérôme Champagne, turned to CAS prior to the elections with the aim of “incorporating transparent voting booths as well as independent scrutineers, in order to safeguard the integrity of the voting process and to ensure that the vote is conducted in secret. In addition, Prince Ali also asked for the FIFA Presidential Election to be postponed in the event the CAS could not rule on the request for provisional measures before the election.” Unfortunately for the two candidates, on 24 February CAS rejected their requests (press releases are accessible here and here), promising that the “full order with grounds will be communicated in a few days”. Yet, the CAS website remained mute since then. At that same Extraordinary FIFA Congress of 26 February, several reforms were also approved. The reforms include term limits for the FIFA President, FIFA Council members and members of the Audit and Compliance Committee and of the judicial bodies of max. 12 years, and the disclosure of individual compensation on an annual basis of the FIFA President, all FIFA Council members, the Secretary General and relevant chairpersons of independent standing and judicial committees. A summary of these reforms can be read here. Another headline involving FIFA was the FIFA’s Appeal Committee’s decision to uphold the sanctions imposed on the Belgian club FC Seraing for infringing the rules on Third Party Ownership (TPO). The sanctions include a fine of CHF 150.000 and a complete transfer ban for four consecutive transfer windows starting in the summer of 2016. TPO (or FIFA’s decision to ban the practice) was once again making headlines in February, in large part thanks to the website of footballleaks (for more on the people behind this website, I recommend this interview published by Der Spiegel). On 1 February footballleaks published the Economic Rights Participation Agreement (ERPA) between Doyen Sport and the Spanish club Sevilla FC regarding the economic rights of the French football player Geoffrey Kondogbia. Another ERPA that was made accessible for the general public also involved Doyen and a Spanish club, namely Sporting de Gijón. In addition to new agreement releases by footballleaks, the consequences of earlier releases were slowly being felt in February. For example, the release of the Gareth Bale transfer agreement between Tottenham Hotspur and Real Madrid on 20 January caused quite a few raised eyebrows throughout Europe. Most interestingly, three Members of the European Parliament officially asked the European Commission whether it is planning to “take action under its competition law and state aid responsibilities”, since one of the banks involved in the transfer agreement (Bankia) was previously saved by the European Stability Mechanism (ESM) with public money. The Commission’s answer to this question can be expected shortly. 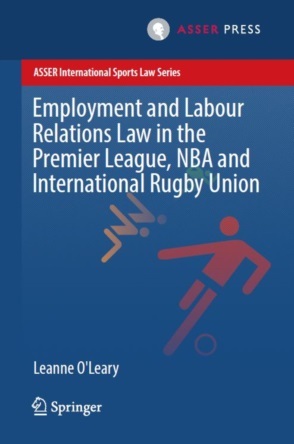 As regards other issues involving EU law and sport, February was a relatively quiet month. The most interesting new development took place on 22 February with the Euroleague Basketball stating that it submitted a competition complaint before the European Commission against FIBA and FIBA Europe. In a nutshell, Euroleague Basketball is attacking the “unacceptable and illegal threats and pressures that FIBA and its member federations are making against clubs, players and referees to force them to abandon the Euroleague and the Eurocup and only participate in FIBA competitions”. The point of view of FIBA on this issue can be read here. It remains open whether the Commission decides to investigate the matter formally. This same question can be asked about FIFPro’s complaint against the transfer system. FIFPro has decided to launch #GameChangers campaign to support the complaint and pressure the European Commission into opening an investigation. For an in-depth analysis of the issue, I recommend this piece by Nick de Marco and Alex Mills. A report listing the sportslaw headlines would be incomplete these days without references to all the doping related news. It is worth remembering that the two reports by the WADA Independent Commission into doping in international athletics lead to the IAAF banning for life three of its senior officials. This IAAF decision was appealed by the three officials in front of CAS on 1 February. The outcome of this appeal is currently still pending. The Russian Government, meanwhile, heavily criticised the two reports, holding that there is no evidence that it was involved in State-supported doping. The German Appeal Court in Rheinland-Pfalz reached a decision in the Müller case on 17 February. Contrary to what the Labour Court of Mainz held in March 2015, the Appeal Court argued that football players are employed under a fixed-term contract. The judgment has not been made public (yet), so we do not know the full extent of the Appeal Court’s legal argumentation. Further appeal options were available to Müller, but it is unclear whether he exercised them. On 4 February, another German Appeal Court (the OLG Frankfurt) rendered its decision in the Rogon case (we commented the first ruling on provisory measure in June) involving the German implementation of the new FIFA Regulations on Working with Intermediaries. Here again, the full text of the ruling is still missing and we can only elaborate on press reports (here and here). Yet, it seems that the Court has decided to partially uphold the new Regulations (especially the no-fee for minors provision), while it also stroke down some aspects of the new rules (especially the intermediary’s duty to register with the DFB). In fact, Infantino grew up in the town of Brig, less than 10 km from Visp, Blatter’s home town. Media Release by the Court of Arbitration for Sport of 24 February 2016, “CAS rejects HRH Prince Ali Al Hussein’s request for urgent provisional measures”, http://www.tas-cas.org/fileadmin/user_upload/Media_Release_4459_decision.pdf accessed 23 March 2016. 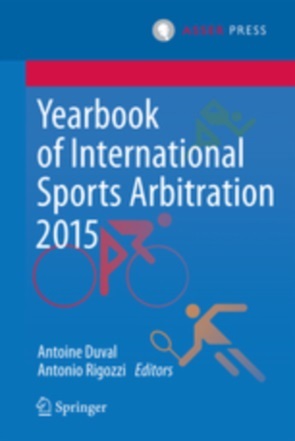 The Independent Commission Report #1 of 9 November 2015, https://wada-main-prod.s3.amazonaws.com/resources/files/wada_independent_commission_report_1_en.pdf accessed 24 March 2016; and The Independent Commission Report #2 of 14 January 2016, https://wada-main-prod.s3.amazonaws.com/resources/files/wada_independent_commission_report_2_2016_en_rev.pdf accessed 24 March 2016. I.e. Papa Massata Diack, Valentin Balakhnichev and Alexei Melnikov. For more information on the Müller case in first instance, read the blogs by Piotr Drabik: “Compatibility of Fixed-Term Contracts in Football with Directive 1999/70/EC. Part.1: The General Framework”, http://www.asser.nl/SportsLaw/Blog/post/part-1-compatibility-of-fixed-term-contracts-in-football-with-directive-1999-70-ec-the-general-framework-by-piotrek-drabik accessed 24 March 2016; and “Compatibility of fixed-term contracts in football with Directive 1999/70/EC. Part 2: The Heinz Müller case”, http://www.asser.nl/SportsLaw/Blog/post/compatibility-of-fixed-term-contracts-in-football-with-directive-1999-70-ec-part-2-the-heinz-muller-case-by-piotr-drabik accessed 24 March 2016. Prof. Ben Van Rompuy of the Asser Institute contributed tot his report with his piece “The role of the betting industry”, pages 236-241.